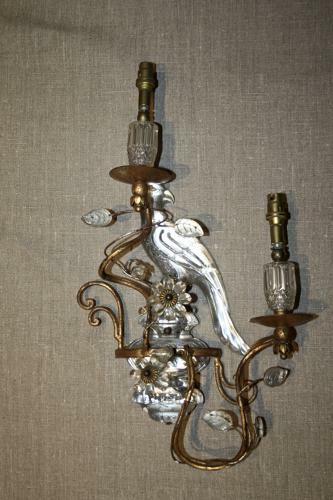 Beautiful Maison Bagues bird wall lights. They are not a pair as both birds are facing the same way. One is in excellent condition and the other has some damage but could easily be repaired.